‘Tandarust Punjab Mission’ a welcome move, but will it work? By taking care of its air and water quality, providing healthy food and ensuring a good living environment to its people in order to make it India’s healthiest state, the government of Punjab has recently launched the “Tandarust Punjab Mission”. Under the Mission, the government plans to distribute one plant in every household in Punjab in order to have “ghar ghar haryali” (greenery in every home). While the government’s stated goal is noteworthy and the need of the hour, giving such slogans or organising such campaigns is really of no use if it is not serious in saving the trees that have grown up after decades of care. A plant doesn’t become a tree overnight; it needs regular care for at least two years before becoming self-sustained. While a plant uses up our resources, it is a tree that gives real benefits such as purifying air, binding soil, conserving water, providing us fruits and housing birds. Of what use is plantation if the government doesn’t check legalised and illegal tree felling? Punjab, which in yesteryears had a “green” image in the minds of most Indians, today has a forest cover of just 3.52 per cent against a recommended 33 per cent cover as per the National Forest Policy. Constant degradation of forests (not just in Punjab but globally), is not only causing deaths of species, but also resulting in droughts, floods and global warming. Punjab's woods, once dark and deep, are now a living example of man's savagery. In 2001, Punjab ranked eleventh in India in terms of forest cover. The state got a loan of Rs 630 crore from a Japanese bank for planting saplings. The loan had to be repaid in 20-30 years against an interest of 0.75-1.8 per cent per annum. The Union Government had taken the money as loan from Japan, with a promise that the country would work towards improving the depleting forest cover. 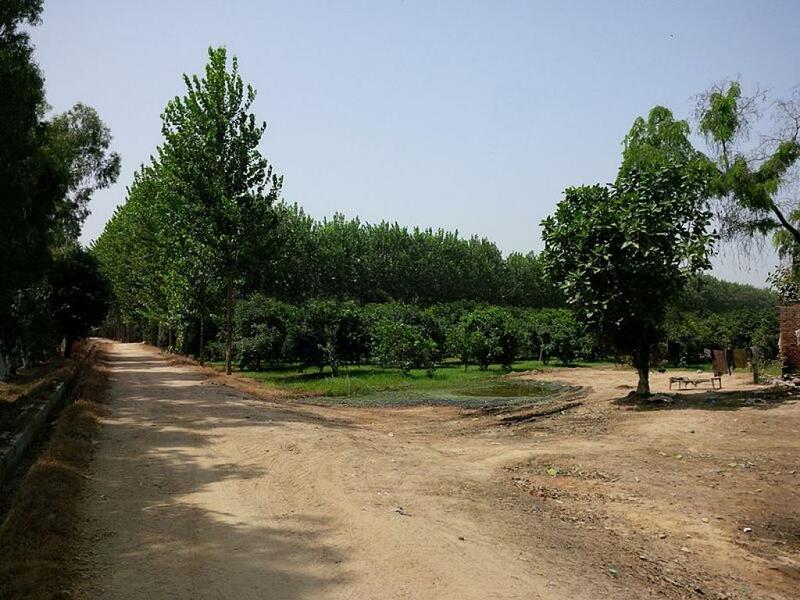 Approximately Rs 470 crore of Rs 630-crore loan was spent on planting about 96,000 trees along the Zirakpur-Bathinda stretch of National Highway (NH) 64. The Punjab government utilised resources in taking care of these plants. However, when these plants became trees by 2012, it gave the nod to fell them! And why? For the four-laning of this 200-km highway that aims at increasing the speed of traffic flow to Chandigarh and minimising road accidents. Moreover, not a single penny of the loan had been repaid by then. Similarly, over 100,000 trees along NH 1 from Shambhu to Jalandhar were removed, making a severe dent on the environment. Saving trees is as important as planting new ones. Most political leaders have a myopic vision. They cannot see beyond their electoral and immediate financial gains. They are the policy makers and without their nod, officers cannot allow tree felling in the name of development. It is time to talk in the language our politicians understand. Let each one of us save one tree and plant another. It is time to adopt orphan trees. Let each one of us adopt an existing tree, post our photographs holding our voter cards by the side of trees thus adopted and give a clear message of adopting the orphan trees on social media so that our vote-minded leaders think a hundred times before giving a nod to tree-felling. They are sharp enough to understand the message and force their officers to make futuristic planning so that the trees planted today are not sacrificed a decade later.